Start Your Free QuoteStart Quote! 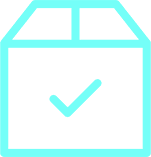 The easiest, friendliest way to create high quality lanyards online, period. The Right Lanyards at the Right Price! 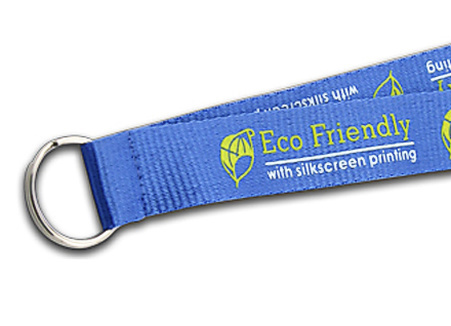 These custom printed polyester lanyards offer a near perfect balance of high performance product and a great low price. These printed custom lanyards allow enough room for your text and/or logos to appear crisp and clear, but do not contain enough material to increase the price. Woven lanyards are made of a strong polyester material. 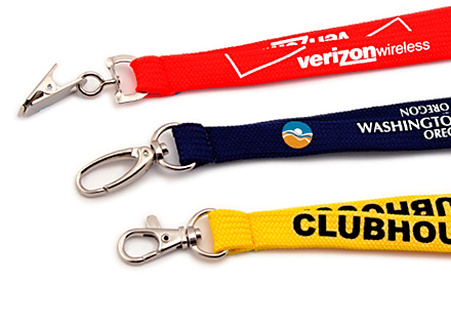 These custom lanyards have your text and/or logos embroidered into the polyester material. 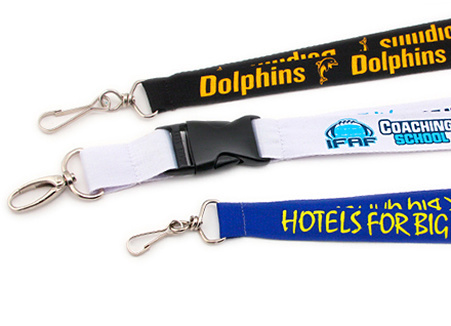 Imprinted Nylon Lanyards are similar to the polyester printed lanyards but are thicker and shinier. This shininess allows the imprinted text and/or logos to stand out from the background. Signature Lanyards is proud to present our line of eco-friendly, biodegradable lanyards made from 100% ingeo fiber which comes from corn. There are numerous uses for personalized lanyards, and each use requires its own type of attachment. 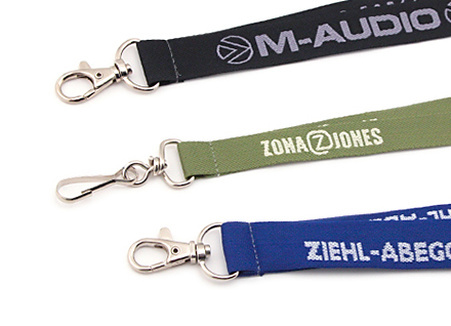 That’s why Signature Lanyards offers an extensive selection of attachments for all the ID lanyards we produce. At Signature Lanyards we are creating an easily accessible experience for our customers in need of high quality durable lanyards. Great lanyards are not just great looking but also very comfortable to wear. The custom lanyards we create are usually used for promotion, events or company awareness. With over 15 years of lanyard production experience, Signature Lanyards has been designing and manufacturing personalized lanyards for various types of business, associations and other organizations throughout the world. We offer a quality guarantee that our customized lanyards, badge holders and id badge holders are both of the highest quality and unmatched service. If you're looking for Custom Cool Lanyards look no further. We can supply you with custom cool lanyards printed in a variety of materials, along with name badge holders, badge reels and badge clips in a vast array of assorted colors. We have personalized lanyards with logo or text printed or sewn into the lanyard material. All our cool lanyards are custom made to order. 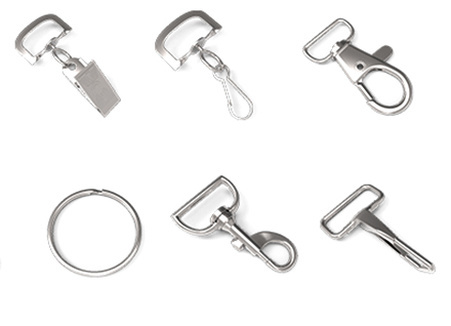 Signature Lanyards is the leading manufacturer of custom lanyards, id holders, badge reels, name and id badge holders, badge clips and breakaway lanyards. We can me your cool customized lanyards a simple and affordable way to increase awareness for your brand, service, business or good cause. Custom lanyards have found their place in schools, businesses, hospitals, and organizations throughout the world. They are excellent for security reasons and identification purposes and that is why they are often handed out at tradeshows, seminars, and conferences as giveaway items. 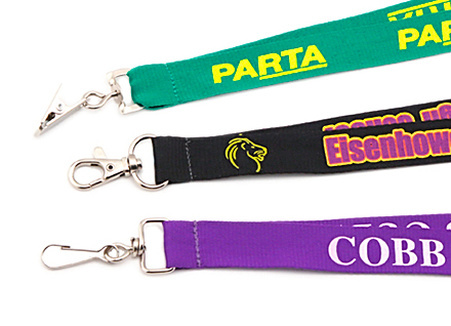 With so many ways to use custom lanyards, how do you know which style is right for you? Even more important, how do you know what type of value to expect? The ordering process is quick and easy, too! Contact us by telephone or e-mail and supply us with the copy, logo or graphic that you want imprinted on your lanyards. As soon as we receive this information, we’ll e-mail you a full-color digital proof for your review. We’ll also gladly revise or change the design as many times as you’d like. When you’re 100% satisfied with the way the proof looks, we’ll place your order and begin production. Your custom imprinted lanyards will be delivered to your door in just 9 business days or less. Now, that’s what we call service! With Signature Lanyards you can expect exceptional customized lanyards. Our fine detailing, amazing customer service and contemporary designs are what make us stand out from the rest of our competition. Signature Lanyards can create any custom lanyards fast, including any personalized lanyards with your logo or graphic. We've helped thousands of customers nationwide create the perfect lanyard for any occasion. We design custom lanyards in many styles and themes, lanyards for safety, teamwork, schools, corporations, the military, trade shows, religious events and more. See a custom lanyard you like and want to make it your own? Our art department can help you create a custom design - just like that! With an A+ Better Business Bureau (BBB) rating, TrustE certificate for online safety and a Dunn & Bradstreet (D&B) listing, we’ve earned the respect and appreciation of our customers. We’d love the chance to earn yours! All Rights Reserved. All symbols, logos and slogans depicted are registered trademarks of their respective owners. (or have reproduced) any logos or other images associated with his/her/its order. Samples on the site are for illustrative purposes only and are not for sale. Signup for our Newsletter and Save.